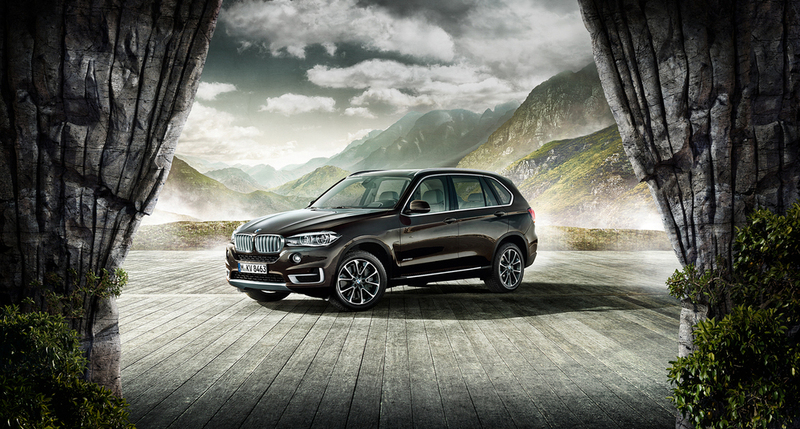 EA was briefed to tailor existing overseas assets to work for the local campaign for the BMW X5. We worked with the supplied base shot of the retouched car on the background & had a lot of fun visually framing the new X5 on stage & communicating the idea of the X5 being an urban & outdoor SAV. EA sculptured & lit the rock curtains in 3D to match the scene, then added the plants, floorboards, canvas & wooden textural backdrop in retouching. Extra smoke was dropped in & the overall scene was relit to create extra drama & atmosphere. EA repurposed the asset & tracked the rock curtains into the moving shot for the TVC end frame. EA was briefed to tailor existing overseas assets to work for the local campaign for the BMW X5. We worked with the supplied base shot of the retouched car on the background & had a lot of fun visually framing the new X5 on stage & communicating the idea of the X5 being an urban & outdoor SAV. EA sculptured & lit the rock curtains in CGI to match the scene, then added the plants, floorboards, canvas & wooden textural backdrop in retouching. Extra smoke was dropped in & the overall scene was relit to create extra drama & atmosphere. EA repurposed the asset & tracked the rock curtains into the moving shot for the TVC end frame.